Every February just a bit north of the Laurel Highlands, a groundhog determines whether spring is right around the corner or if another six weeks of winter is on its way. Plenty of people love winter and everything associated with the season. Still others dread that Punxsutawney Phil’s annual forecast will stall the return of warmer, sunnier days. If the winter weather has you feeling a little less than cheerful this time of year, fret not! Here are some suggestions on how you can beat the winter blues in February in the Laurel Highlands. 1. Treat yourself – Take some time to pamper yourself. Unwind by visiting one of the region’s spas and rejuvenate your mind, body and soul. Walk away feeling refreshed and ready to conquer the world. 2. 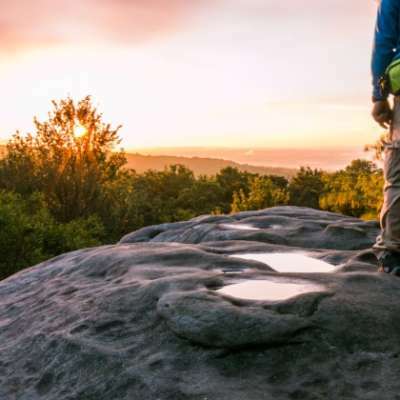 Get outdoors – Exercise and fresh air can make a huge difference, so shake off cabin fever and that blah feeling in Pennsylvania’s ultimate outdoor playground! Play in the snow at the state’s top ski resorts. Go cross country skiing or for a hike in one of the area’s many state parks. You can even peddle the Great Allegheny Passage with Bike-the-Gap.com’s special fat bikes designed specifically for winter cycling. 3. See a show – Venues like The Palace Theatre, Pasquerilla Performing Arts Center, State Theatre Center for the Arts, The Arcadia Theater, The Geyer Performing Arts Center, and The Lamp Theater all have a wide range of shows scheduled in February that include everything from musicals and concerts to comedies and ballet. 4. 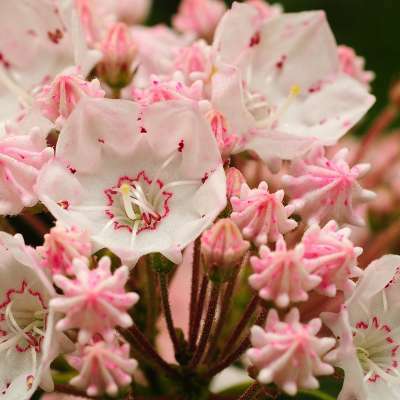 Take a tour – Did you know there are five national parks in the Laurel Highlands? The National Park Service is celebrating its 100th anniversary in 2016, so what better time than now to visit one or more of these national treasures? 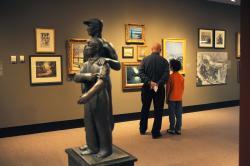 There are also a variety of museums and historical sites in the area. Driving tours are also an option. 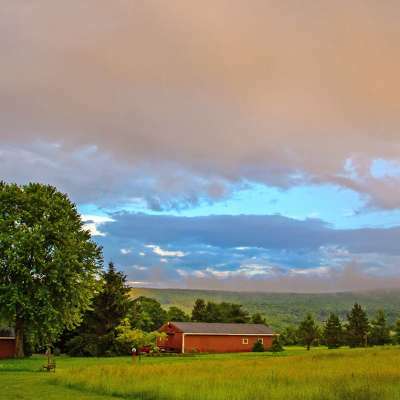 Explore the region’s rural history and agricultural roots with the Somerset County Covered Bridge Driving Tour or the new Somerset County Pennsylvania Barn Stars and Decorations Driving Tour, or discover one of the area’s many historic highways. 5. 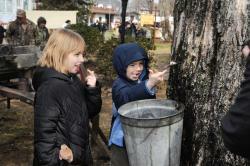 Get artsy – The Laurel Highlands boast a number of art galleries, each with its own unique exhibits. Catch the 20th Annual Regional Juried Art Exhibition at the Southern Alleghenies Museum of Art at Ligonier Valley through Feb. 7 or the Somerset County Jr./Sr. High School Show Feb. 9-26 at Laurel Arts’ Philip Dressler Center. See the Love of Nature Art Show at the Winnie Palmer Nature Reserve Feb. 12. The newly renovated Westmoreland Museum of American Art also has three different exhibits on display in February. 6. 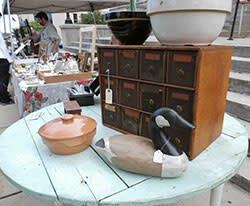 Go antiquing – The Laurel Highlands is a hotbed for antiques. While regional antique festivals are held in the spring and summer, there are a number of antique stores that are open year-round. It’s easy to lose yourself among the shelves filled with eclectic and unique trinkets from years gone by. Who knows what treasures these stores might hold for you? 7. Learn something new – Why not take a class or pick up a new skill? Explore North American bird nests with a lecture and interactive hike at the Powdermill Nature Reserve or learn to cross-country ski at Forbes State Forest. All three ski resorts in the Laurel Highlands offer lessons for those wanting to hit the slopes. Want an indoor activity? Try the DIY Weaving Workshop at the Foster and Muriel McCarl Coverlet Gallery or the Tole Painting Workshop at the Somerset Historical Center, or choose from a variety of classes on tap at Laurel Arts. 8. Sample the local goods – Put some pep in your step this month with a visit to the many wineries and breweries in the Laurel Highlands. Head to Green Gables for the restaurant’s monthly First Friday Wine & Craft Beer Tasting or visit Glades Pike Winery’s Winter Warm Up on Saturday afternoons. 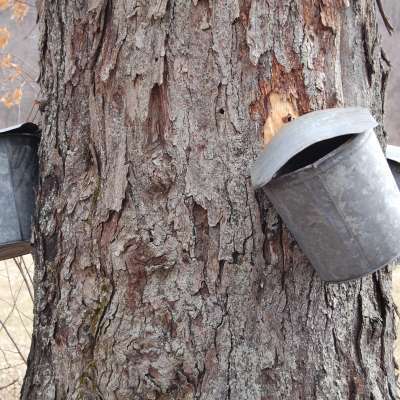 For something less alcoholic, join the Somerset County Maple Producers Association as it officially kicks off this year’s maple season at the 2016 Tree Tapping Ceremony Feb. 27. If you have a sweet tooth, make sure to stop at The Pie Shoppe in Laughlintown, the Country Pie Shoppe’s locations in Donegal and Mount Pleasant, or one of the area’s other fine restaurants, cafés and eateries. 9. Make a difference – Give back to a meaningful cause or volunteer your time and services to an organization or project that could use some help. Seven Springs Mountain Resort will host both the Special Olympic Winter Games and Ski to Defeat ALS this month. Neither event is possible without the help of volunteers. Other groups and nonprofits are always happy to have volunteers assist with everything from the day-to-day operations to planning major events. Your help could really make a difference. These suggestions are just the tip of the iceberg. Visit laurelhighlands.org for a full list of attractions, event listings and other ideas on how you can beat the winter blues this month.